There’s a new arachnid swinging into California Adventure, and he’s kicking out the other bugs. Though it won’t be open until 2020 (one year after Star Wars: Galaxy’s Edge at Disneyland across the plaza), Marvel will expand past “Mission: Breakout” and into A Bug’s Land. 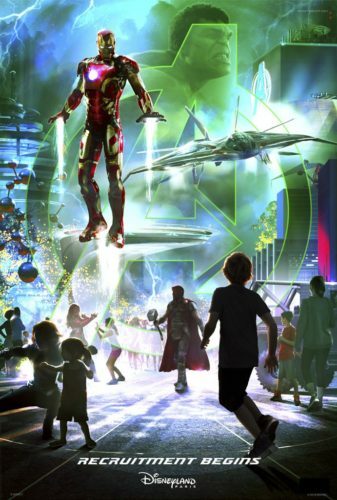 But that’s not all — Disneyland Paris will get a Marvel-themed land, and Hong Kong Disneyland will grow beyond the “Iron Man Experience,” ironically by bringing in their shrinking characters. Hinted at last summer at D23 Expo, and confirmed this week by the official Disney Parks Blog, this marks a major expansion into Marvel territory. Fear not, Orlando will be getting a new Guardians of the Galaxy ride — officially announced at D23 in Anaheim — and the “Aerosmith Rock and Roller Coaster” is about to transform into an Avengers attraction, announced last month at D23 Japan. 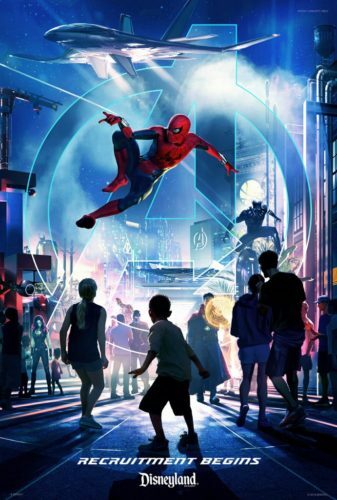 Disneyland Paris will be getting its own Summer of Heroes this year, with a brand-new stage show, and an Avengers attraction opening in 2020. 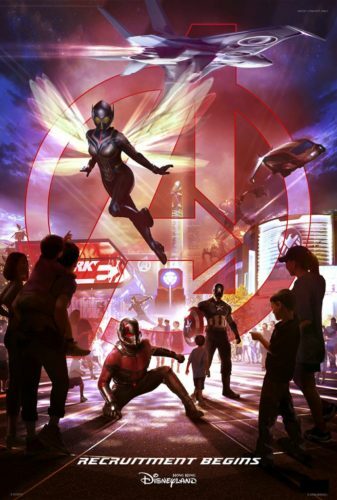 More is likely at Hong Kong Disneyland, with the announced attraction featuring Ant-Man and the Wasp. If someone at Imagineering still has the plans lying around, this is a perfect ride to adapt the old “Adventures Through Inner Space” into the Marvel Universe. 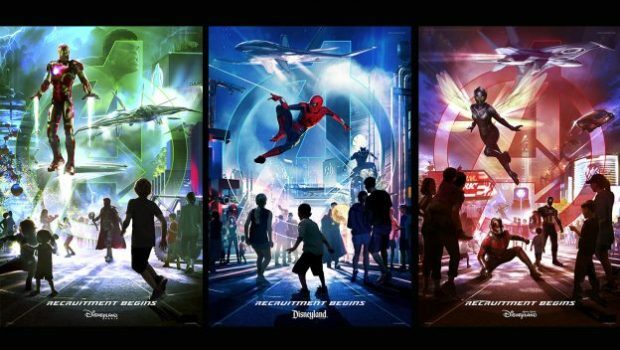 Though clearly patterned after the Marvel Cinematic Universe, remember that the Disney parks are creating their own “Marvel Theme Park Universe,” connecting through a recursive time loop that only true fanpeople care about. That’s us. Welcome to your world.